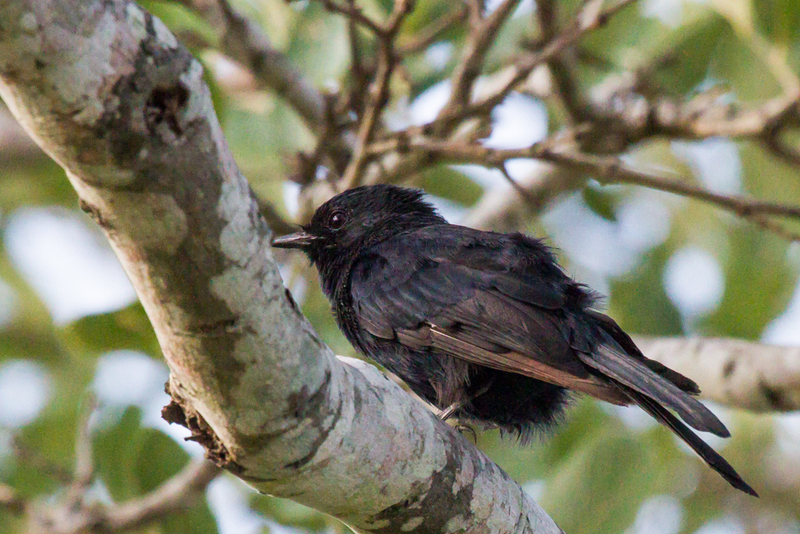 The Southern Black Flycatcher (Afrikaans name Swartvlieevanger) are frequently found in open woodland, suburban parks and gardens. They feed mainly on insects and occasionally on fruit and nectar from Aloes. 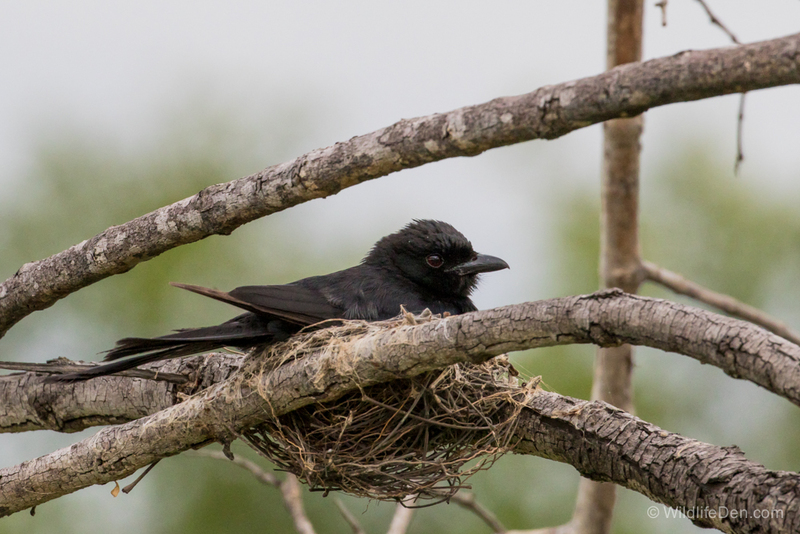 We spotted this one on its nest near Skukuza in the Kruger National Park.